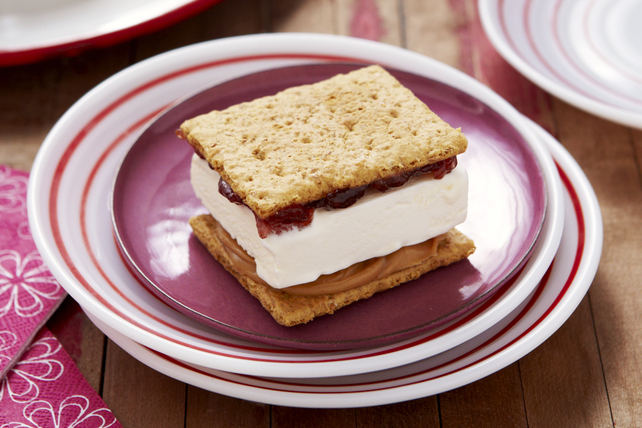 Spread 8 wafers with peanut butter, then spread remaining wafers with jam. Fill wafers with ice cream to make 8 sandwiches. Freeze 1 to 2 hours or until firm. These cool treats are perfect for making ahead of time. Wrap separately in plastic wrap and freeze up to 1 week. With their built-in portion control, these ice cream sandwiches make great treats.